It's likely you'll need a quote tailored to your exact needs - there are plenty of ways you can talk to us, Call, Live Chat, Email, Message and visit our showroom. Had your eye on a brand new Citroën Cactus? Duff Morgan Citroën offers you FOUR ways to own it. You can bundle everything, including motor insurance, servicing, roadside assistance, warranty and road fund licence into one payment using Simply Drive. If you're in a regular change cycle the best option is PCP, if you'd like to lease it you can do that too, or if you have the cash you can just pay for your car upfront. We can help you find the right solution for you with our PSA Finance UK Ltd. You can take a look at the finance examples here, however the best way to figure out which choice is right for you is to speak to one of our sales team personally. You can do this over the phone or in person at the showroom of your choice in either Norwich or King's Lynn. Elect 3 PCP: Finance subject to status. 18+ years old. Finance provided and written quotations available from PSA Finance UK LTD, Quadrant House, Princess Way, Redhill, RH1 1QA. A guarantee may be required. Simply Drive : Citroën Insurance are trading styles of PSA Finance UK Ltd, a company registered in England and Wales under company registration number 01024322 having its registered office at Quadrant House, Princess Way, Redhill, Surrey, RH1 1QA. PSA Finance UK Ltd is authorised and regulated by the Financial Conduct Authority. A guarantee may be required. Excesses apply. A deposit may be required. Citroën SimplyDrive, minimum age 21, 25 or 30 on selected models, maximum age 75. Policyholder must have a minimum of 2 years NCD to use on the vehicle. All drivers must meet eligibility criteria including minimum 2 years’ full UK licence (non-telematics), driving convictions/claims limits. Excesses apply. For Citroën SimplyDrive Telematics minimum age 18, maximum age 75. Drivers are required to install the Telematics Box & consent to Data capture & transmission to qualify for insurance. All drivers must hold a full UK licence & meet eligibility criteria including limits on driving convictions & claims. Insurance subject to cancellation if you receive four warnings for poor driving. Excesses apply. The costs of insurance, servicing and Roadside Assistance are included within the monthly payment. Citroën SimplyDrive is provided on a monthly pay-as-you-go basis and can be cancelled at any time without penalty or affecting the remainder of the Citroën SimplyDrive contract. Excesses apply. 3 years motor insurance is provided and underwritten by U K Insurance Limited, which is authorised by the Prudential Regulation Authority and regulated by the Financial Conduct Authority and the Prudential Regulation Authority. 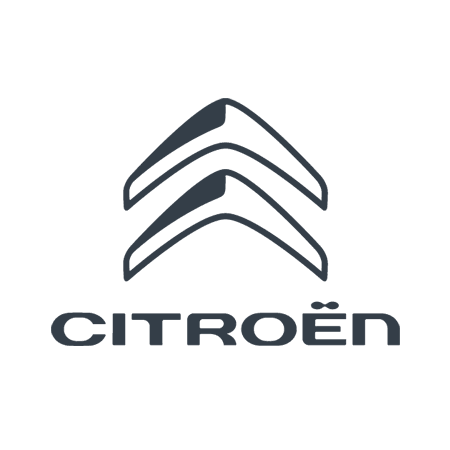 Citroën UK Ltd is acting as a credit broker and is not a lender. To finance your purchase we will only introduce you to PSA Finance UK Ltd, the exclusive provider of Citroën SimplyDrive. 7.9% APR Representative PCP: Finance offers apply to qualifying new vehicles ordered and delivered between 01/04-30/06/19. Offers available to qualifying retail customers excluding PSA UK Finance UK Contract Hire. 3 years’ 0% APR Conditional Sale with 10% deposit available on C3 (excluding Touch), C3 Aircross SUV (excluding Touch), New C5 Aircross SUV, New Berlingo, C4 Cactus Hatch, C4 SpaceTourer and Grand C4 SpaceTourer. 4 years’ 0% APR Conditional Sale with minimum 20% deposit available on C3 (excluding Touch), C3 Aircross SUV (excluding Touch), New C5 Aircross SUV, New Berlingo, C4 Cactus Hatch, C4 SpaceTourer and Grand C4 SpaceTourer. 3 years’ Elect 3 0% APR available on C1 Flair and Flair Edition and C4 Cactus Hatch. 4 years’ Elect 3 0% APR available on C3 (excluding Touch) and C4 Cactus Hatch. 3 years’ Low Cost Elect 3 2.9% APR available on C1 (excluding Flair and Flair Edition). Finance offers apply to UK Mainland only. All Citroën Elect 3 products quoted with compulsory Citroën Assistance. Finance subject to status. Guarantees may be required. Over 18s only. Elect 3 examples based on 6,000 miles per annum. Excess mileage charges will apply if you exceed the agreed annual mileage. Written quotations available on request from PSA Finance UK Ltd, RH1 1QA. Citroen UK Ltd is acting as a credit broker and is not a lender.